FORT BRAGG, N.C. — The Army is one step closer to increasing the ability of non-surgical medical personnel in remote locations to potentially save the lives of severely injured Soldiers thanks to continuing efforts by the U.S. Army Special Operations Command (USASOC), Womack Army Medical Center and the U.S. Army Medical Research and Materiel Command – Telemedicine and Advanced Technology Research Center (TATRC). Osteoarthritis (OA) of the knee is a common and debilitating condition for many active duty and retired Service Members and beneficiaries. Traditional medical approaches include medications and injections providing modest symptom benefit with associated risks. 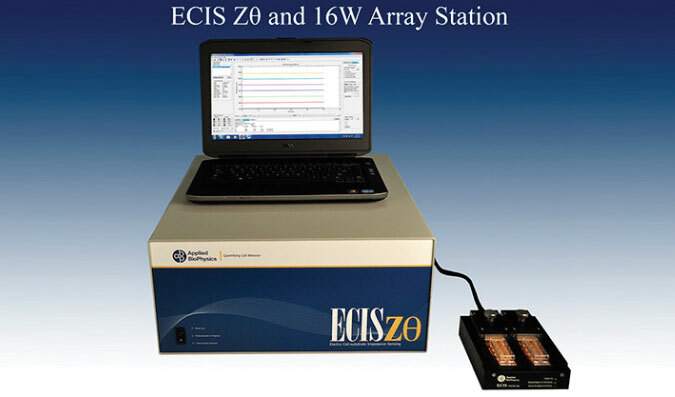 Despite the proliferation of state of the art traumatic brain injury (TBI) centers throughout the Department of Defense (DoD), the diagnosis and management of most mTBI cases occurs at the small unit level. Combat medics relying on the Military Acute Concussion Assessment (MACE) are often the first medical providers to assess injured Soldiers. 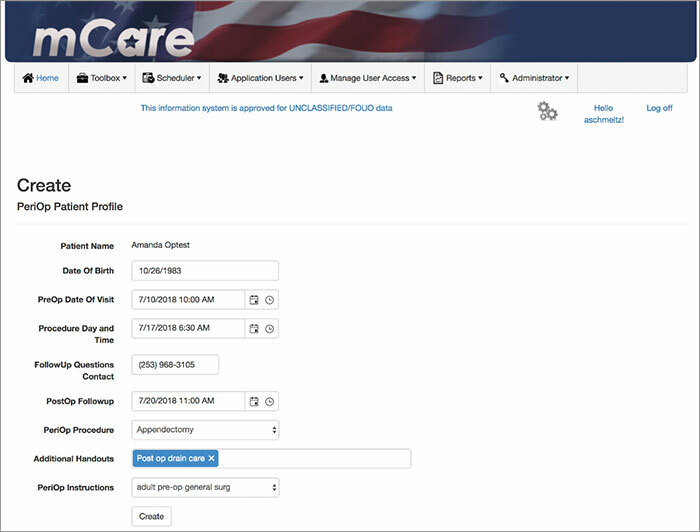 This summer the lab team at TATRC’s Mobile Health Innovation Center (mHIC) launched phase one of the “Development of a Mobile Web-Based Application for Pre and Post-Operative Patient Education of the Military Surgery Patient” pilot project. 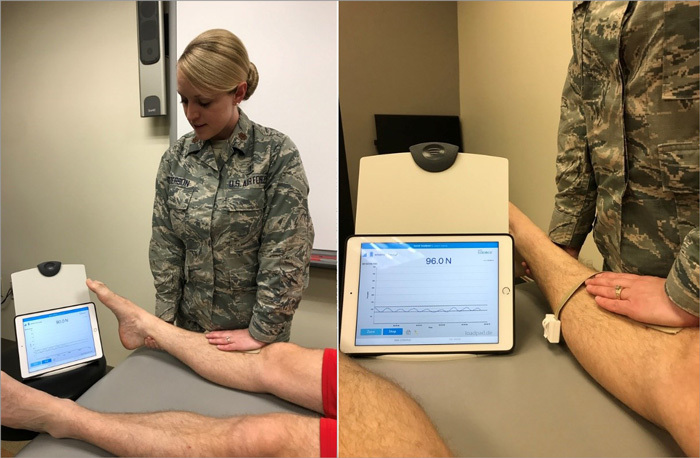 Ms. Holly Pavliscsak, TATRC’s Program Manager who oversees the AMEDD Advanced Medical Technology Initiative (AAMTI) was on the road again in May. This trip took her to Madigan Army Medical Center (MAMC) in Tacoma, Washington where she attended the Colonel Pat C. Kelly Madigan Research Day on 4 May. COL Richard Burney, Chief of the Department of Clinical Investigations hosted this impressive event. 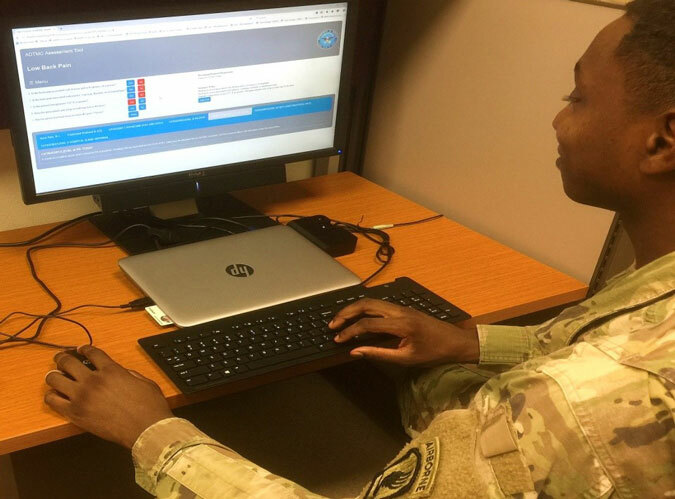 Currently, U.S. Army medics in the field carry the 269 page, 2-4 lb paper Algorithm Directed Troop Medical Care Manual (ADTMC) with them to Battalion Aid Stations (BAS). 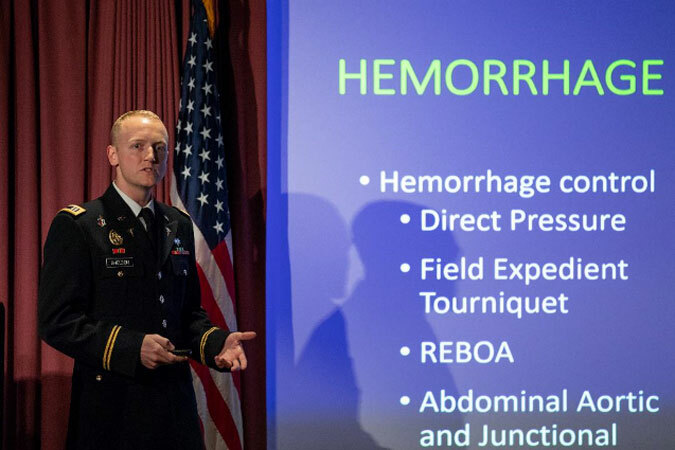 In early 2018, the U.S. Army Medical Department (AMEDD) defined its strategic vision on the role of medical robotics and man-machine interfaces for the future of Army medicine. In line with the Army’s Robotic and Autonomous Systems Strategy, AMEDD outlines mid and long-term goals for research and development of strategies to enable semi-autonomous tele-robotic surgery for combat casualty care in austere and combat environments. 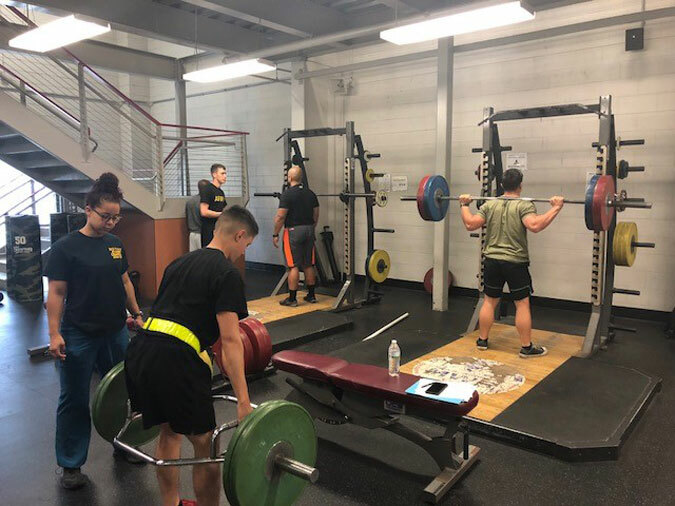 The XVIII Airborne Corps is aggressively working to reduce the impact and frequency of musculoskeletal injuries and have identified a gap in the traditional methods used to physically train our Soldiers prior to injury and following injury rehabilitation. 13 April, 2018 Got a Bright Idea? AAMTI RIF Funding is Still Available for FY18! 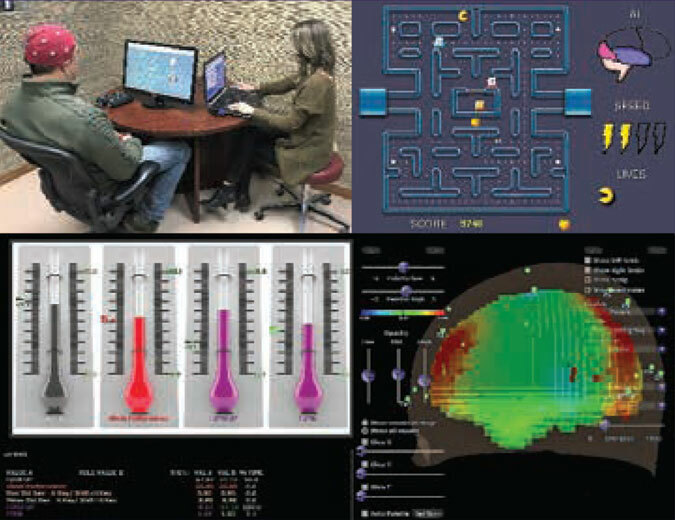 In 2017, the AAMTI program introduced the Rapid Innovation Funding (RIF) program as an optional alternative program to the traditional AAMTI Extended Innovation Funding (EIF). Unlike the traditional AAMTI projects which are an average duration of eighteen months, AAMTI RIFs projects should be accomplished in 6 months or less. Lifetime history of traumatic brain injury (TBI) is present in over 60% of military personnel. While most of these events are mild and leave no complications, nearly 20% of individuals sustaining TBI experience persistent symptoms. The presence of somatic, cognitive and/or behavioral impairment may affect the service member’s capacity to return to duty. The disruptive nature of war coupled with the degradation of barriers to infection resulting from combat and non-combat injuries predispose military personnel to bacterial infection. Bacterial infection is a significant cause of morbidity and mortality in the military healthcare setting. 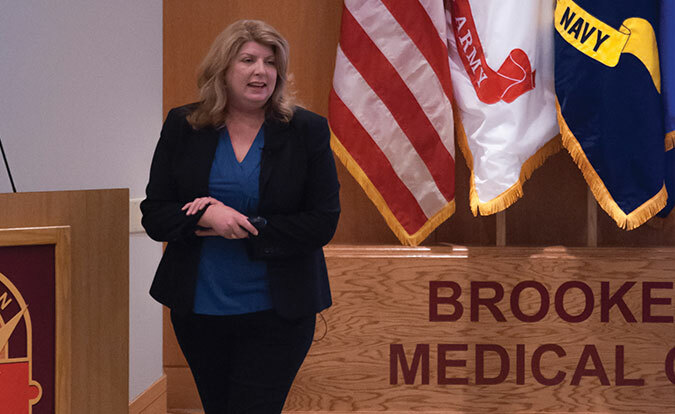 Ms. Holly Pavliscsak, Program Manager for the AMEDD Advanced Medical Technology Initiative (AAMTI), was honored to be invited by Department of Clinical Investigation and the Graduate Medical Education department at the Brooke Army Medical Center (BAMC) in Fort Sam Houston, Texas to be the featured speaker at their Research Open House event on 31 January.